We seldom list novels here that are not written for middle or high school. However, A Moment in the Sun is well worth being an exception. John Sayles, best known for films such as Matewan, Lonestar, Brother from Another Planet, and Eight Men Out, has just completed this epic historical novel set at the turn of 19th century. The book draws its title from the W.E.B. 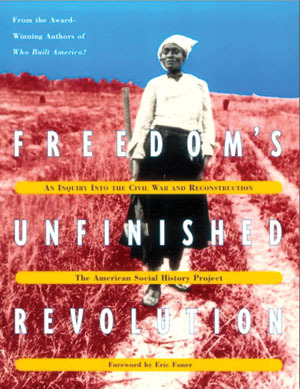 DuBois’ quote about Reconstruction–a “moment in the sun” for African Americans. Sayles shows through the stories of 35 vivid characters how the sun sets at the turn of the century throughout the United States and many parts of the world due to the racism in our domestic and foreign policy. The book offers an extraordinary and memorable combination of great literature and in-depth historical research. It is Zinn’s A People’s History in a novel–focusing on a turning point in U.S. history. While the characters are spread as far afield as Alaska, New York, Wilmington (NC), the Philippines and more–it becomes clear that they are all closely connected by the threads of racism, classism, and imperialism. ISBN: 9781936365180 | Published by McSweeney’s. Extended interview on June 17, 2011 with filmmaker and author John Sayles on Democracy Now!